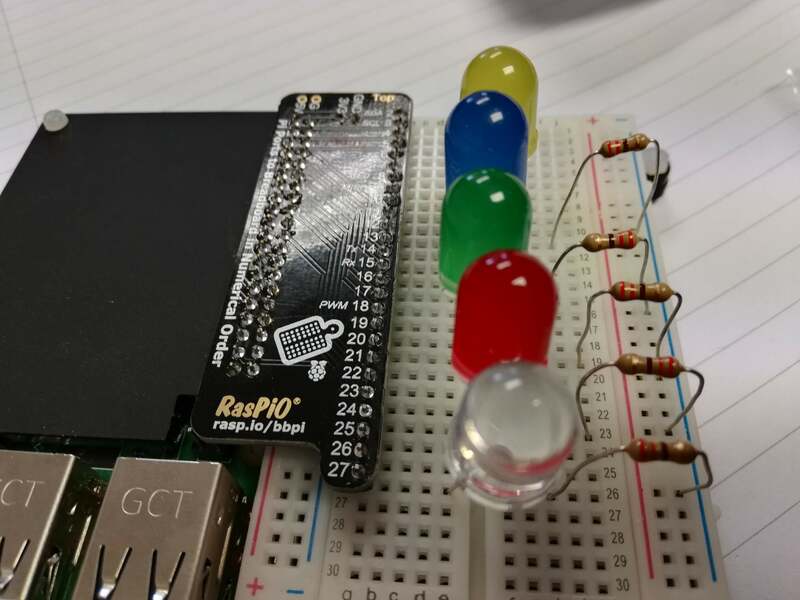 Alex Eames, from RasPiO, has just launched his latest crowdfunding campaign over on his website. 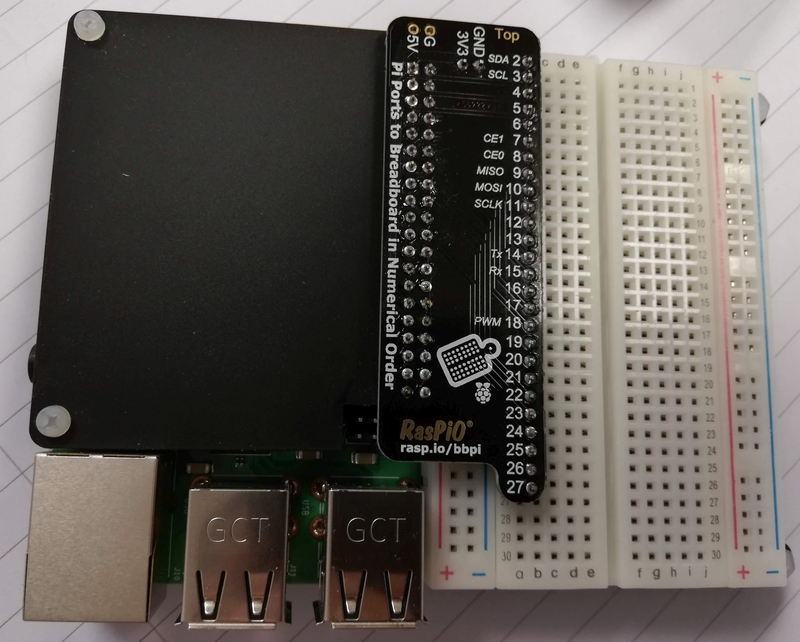 He is hoping to fund the Breadboard Pi Bridge which is an easy way to bridge the gap between a Raspberry Pi and a breadboard, get solid connections and generally make your life easier. This is one of those “I wish I’d thought of that” products! 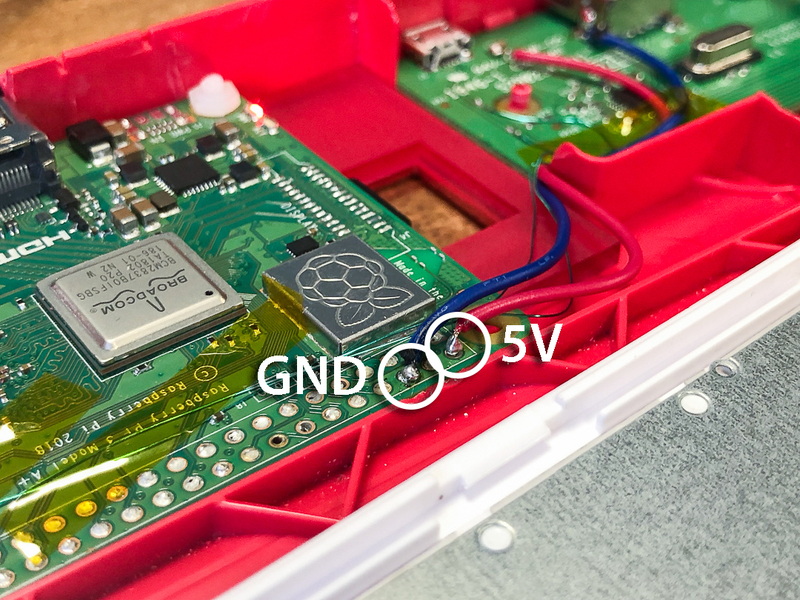 The bridge sits on top of your Pi’s GPIO pins and then breaks the pins out (backwards) and then plugs into the supplied breadboard. The pins are, in typical “Alex style”, in numerical, Broadcom, order. In simple terms, this means things like GPIO Zero will “just work” as they use the Broadcom numbering system. So, no more hunting around for the right pin. The kit (which needs to be soldered) comes with perspex plates for the bottom and to cover the Pi (if you wish) and all the fixings you need. 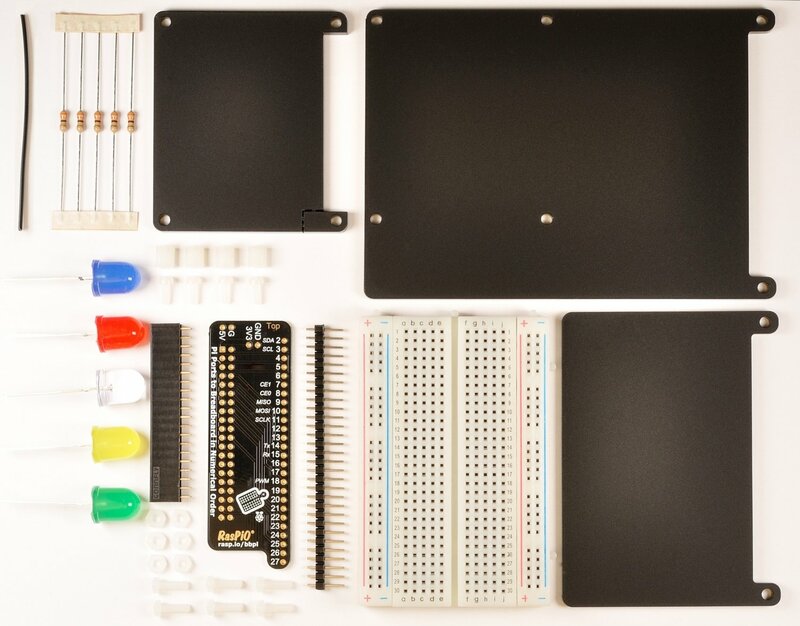 It also comes with a selection of LEDs and resistors, and an extra wire if you want to connect up the “other” Ground rail on the breadboard. In fact, it comes with everything you see in the picture below. 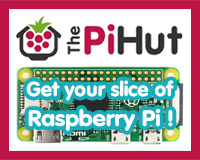 The only thing it doesn’t come with is the Pi itself, but I’m pretty sure you know where to go for one of them by now! 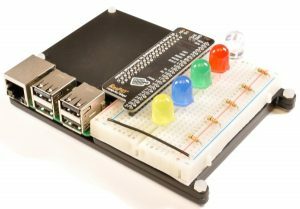 It’s a really neat product, I think, and solves the problem, particularly in education (but for hobbyists, too) of connecting things up incorrectly. The Bridge costs £12 plus (very reasonable) shipping, but you can get it for £1 cheaper on an Earlybird basis by using the code “EARLY” at the checkout (this applies to the first 100 purchases or 24 hours after launch, whichever is reached first). There are also free gifts for multiple purchases, but I won’t go into those here – take a look at the page for details. 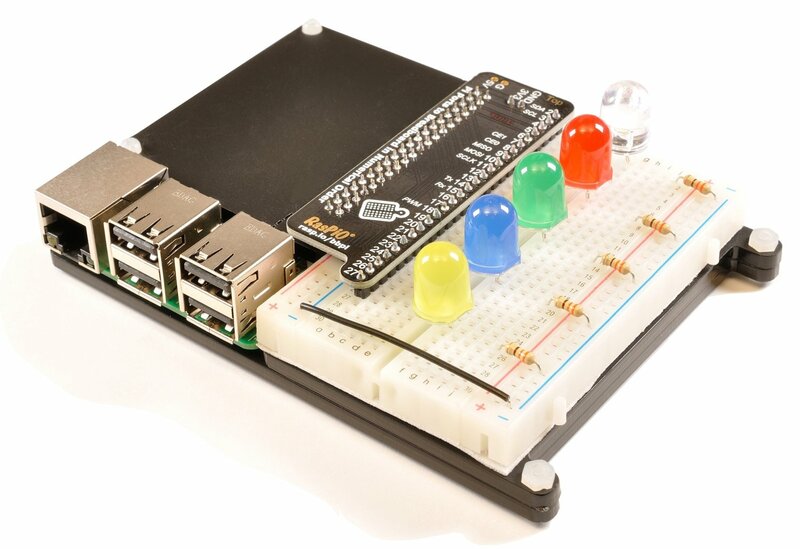 You can see more details and grab a Breadboard Pi Bridge here. 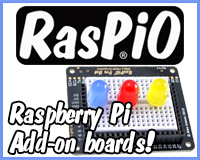 If you want to read a bit about the development of the product, take a look at this post over at RasPi.TV. Alex will only be putting this into production if 400 units are sold, so I hope some of you, at least, will see the benefits of it. I’ve already pledged in the hope that it will be successful. 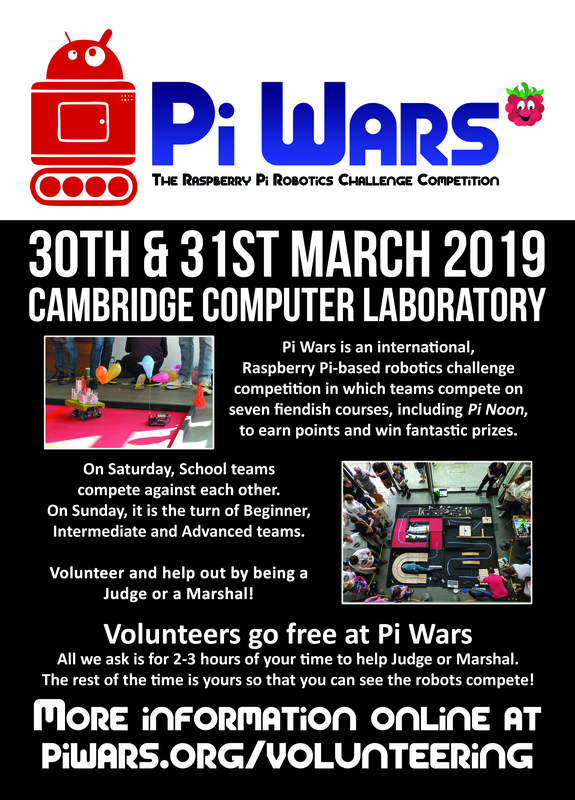 The last weekend of March sees the 5th Pi Wars competition. Teams from all over the world will come together in Cambridge, UK and compete against each other on seven challenge courses, hoping to earn points, prizes and glory. You can get involved at the event, and attend for free, by volunteering as a Judge and/or Marshal. It’s not as scary as it sounds! As a Judge, you’re given all you need to record scores and measure run times. As a Marshal, you’ll be manning the front desk and/or doing little jobs to make the event run smoothly. All we ask is for 2-3 hours of your time. 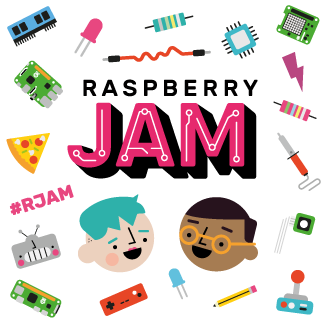 The rest is yours to do with as you please – check out the robots, watch some challenge runs and get to know some of the members of this great community. 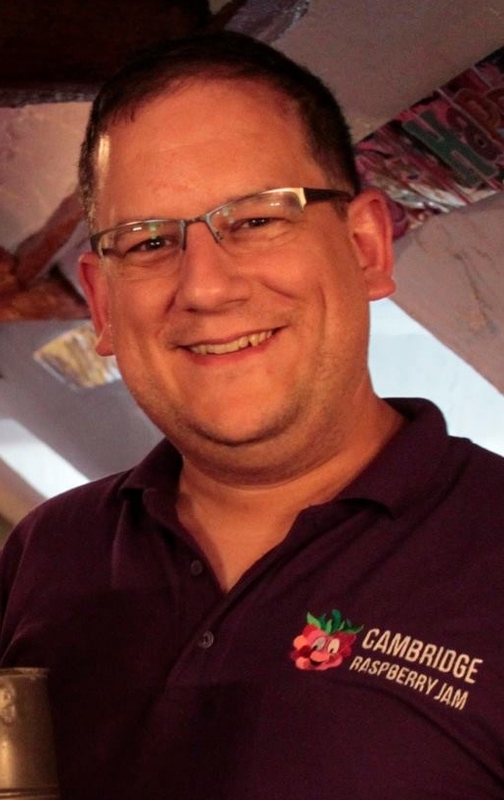 You can read a bit more about volunteering over on the Pi Wars website. You can volunteer either by grabbing a free ticket from our ticket merchant or by contacting Mike via the Pi Wars website. If you just want to attend Pi Wars as a spectator, tickets are still available – they are £5 per day or £7 for the weekend. Get your tickets here. 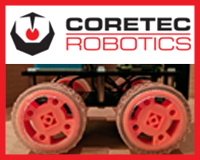 You’ll be able to see all the robots in action, browse the Marketplace and Show and Tell stalls and, if you’d like to, take part in a robot programming workshop with Neil Lambeth of Red Robotics. 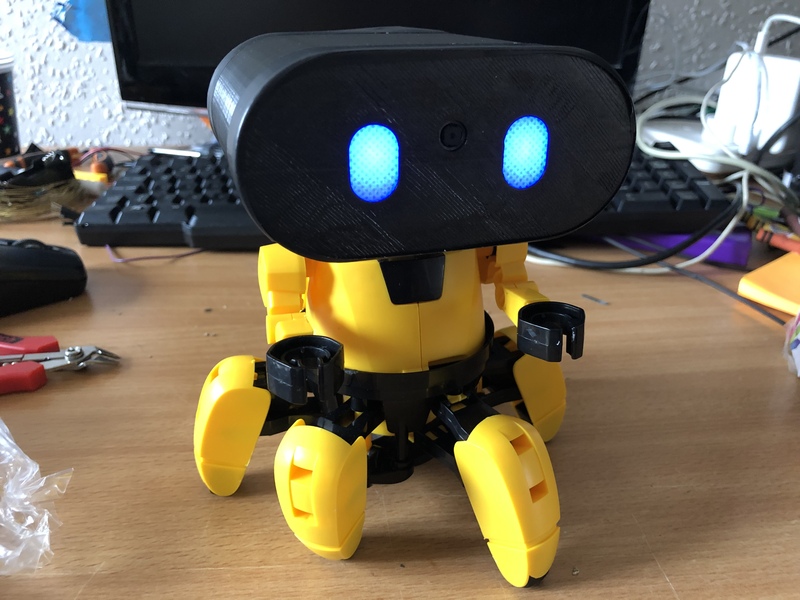 David Pride has taken a Tobbie robot toy and hacked it using some 3D-printed extra parts and a Raspberry Pi Zero. 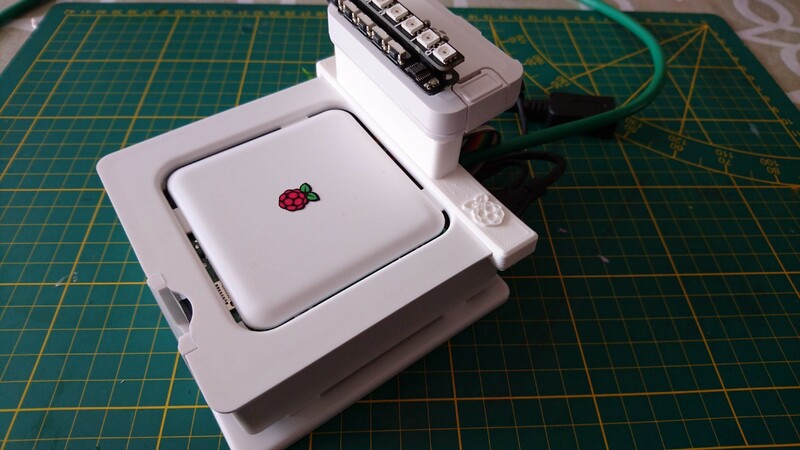 He’s used a ZeroBorg from PiBorg as the motor controller and then 3D-printed a replacement head to house the Raspberry Pi Zero, the ZeroBorg, a Pi camera and a Pimoroni Blinkt for eyes. Predictably now called “Zobbie”, the robot now walks about (as you can see in the video below), is Pi-controlled and is just one of the cutest makes I’ve seen. 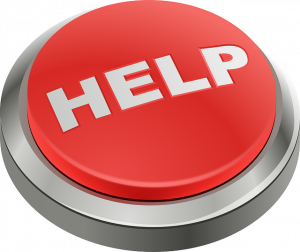 If you want to do it yourself, search for Tobbie on eBay or Amazon and then follow Dave’s walkthrough here. His code (this will be up later on tonight!) and the files for the 3D-printable head are available online.